All our solutions are completely bespoke meaning you receive a financial plan that’s exactly in tune with your needs. We build our offers around personal service and to do this we limit the number of customers per adviser. This means you receive more one-to-one attention. We understand the frustration people can feel with firms where advisers change so we carefully match our advisers and customers but more than that, our advisers are with us for the long term meaning you can enjoy a long term relationship with your adviser. Despite looking after customers around the globe, we have a very efficient structure which means we can respond rapidly to changes in the financial landscape. The absence of a bloated hierarchy also means we can keep our prices competitive. We pride ourselves on our expertise with our staff achieving the highest academic and professional qualifications. 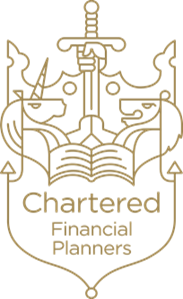 As a Chartered Financial Planning firm, we must ensure staff members acquire and retain the necessary knowledge and skills to deliver the highest quality advice. We must also work in an ethical manner that places clients’ interests at the heart of the advice we give. We are innovative and in tune with contemporary financial thinking meaning we are not constrained by outdated models and techniques.